We all do crazy things when we’re mad. 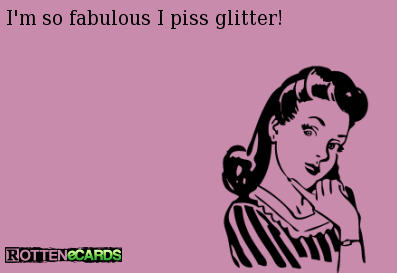 Revenge is a dish best served cold.. or in this case, sparkly. 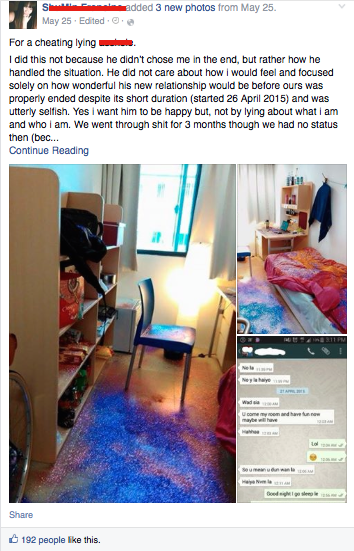 In what could probably be called the most amusing revenge of all time, this scorned girlfriend decides to glitter-bomb her allegedly cheating boyfriend’s room. The lady explains why she did what she did in a long Facebook post with photos of the finished deed. 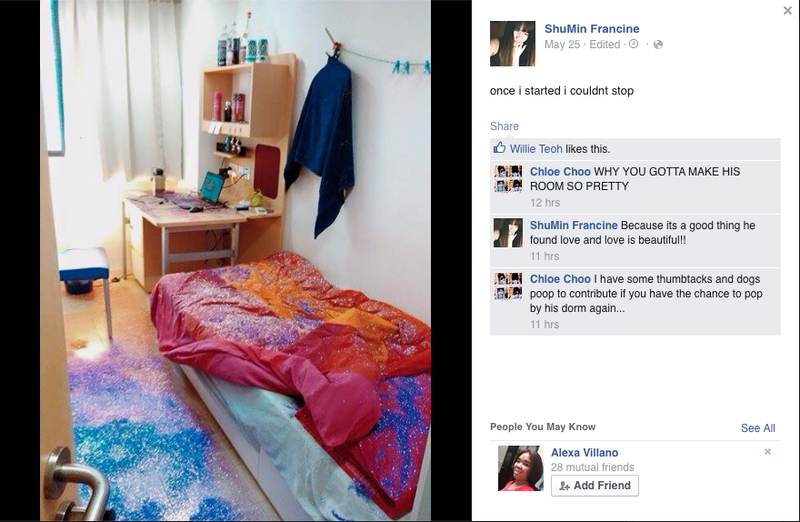 Of course there are worse things in life than glitter and women have been known to do way worse things (like dumping all of the cheating ex’s mac gadgets in water, or smashing the guy’s PS 3) than sprinkling glitter but I guess this girl had other ideas. What do you think about this revenge? #PogiAlert: Cute Taho Vendor In Manila And More!